The Olentangy River watershed forms part of a large migratory corridor that provides food, water, and shelter to birds as they fly south in late Fall and north in early Spring. To highlight the importance of maintaining clean environmental conditions for these travelers, FLOW sponsors bird watching hikes during migration periods. Birding enthusiasts can meet others interested in Ornithology, and can also benefit from the expertise of local bird experts. Check the events calendar for details about upcoming hikes near you. 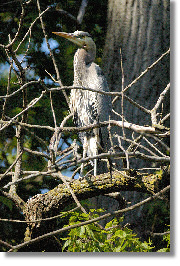 FLOW is also the sponsor of an atlas block in Delaware County for Ohio Breeding Bird Atlas II. FLOW worked with the Ohio Department of Natural Resources and the City of Columbus to create the Olentangy Water Trail. The trail was created in 2007 with the passage by the Columbus City Council of a resolution sponsored by Council Member Priscilla Tyson. The resolution designated a water trail on the Olentangy River from Kenney Park to the confluence with the Scioto River. 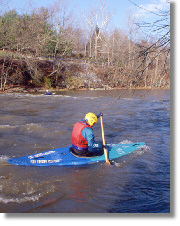 In 2013 the Olentangy River Water Trail was designated a state protected water trail by ODNR. In addition to the water trail designation the City has created a detailed map to help boaters plan their routes and has installed large signs to warn boaters of hazards such as lowhead dams. Boating on the Olentangy River circa 1910. Postcard of Lake House at Olentangy Park on the Olentangy River, circa 1910. Boaters have long explored the Olentangy River’s many bends and heavily wooded reaches. The links below show canoeists on the Olentangy River, and the boat house at Olentangy Park. Olentangy Park was an amusement park in Clintonville that was open in the early part of the 20th century. These links open historic photos at OhioHistory.org.